The village of Westchester is situated at the head of navigation, on Westchester creek, twelve miles from the city of New York; it contains about four hundred inhabitants, fifty dwellings, an Episcopal, a Roman Catholic, a Methodist church and two Friends’ meeting houses, three taverns, a post office and four stores . . . [It] is by several years the oldest village in the county, its first settlement (by the Puritans), being coeval with Throckmorton’s purchase, in 1642. 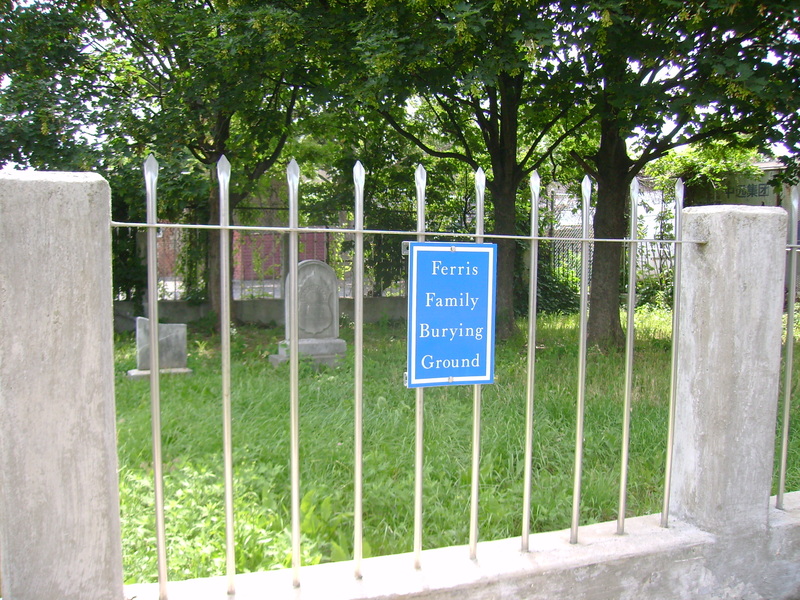 Bolton also mentions the “Ferris burying ground,” that was located in the village near St. Peter’s Episcopal Church. 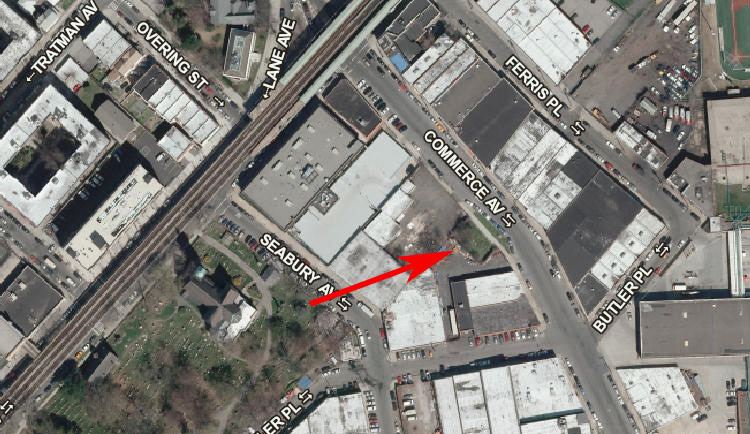 The Ferris family presence in the area goes back to the 17th century, as does their old family cemetery that can be found today on the south side of Commerce Avenue, east of Westchester Avenue, in the modern Bronx neighborhood of Westchester Square. 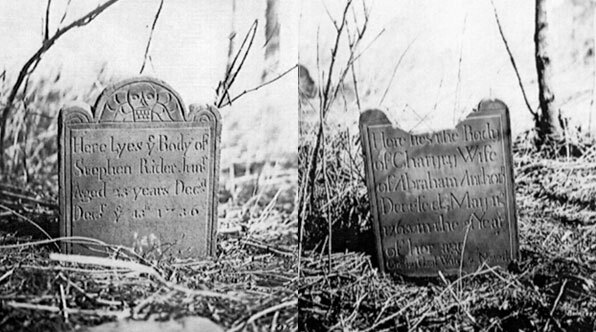 John Ferris, an Englishman who was one of the five patentees of Westchester township in 1667, reserves the burial ground by his last will in 1715: “Provided always there shall be a rod square free for all friends and friendly people to bury their dead in the place where they formerly buried without any let, hindrance, or molestation whatsoever.” Benjamin Ferris likewise reserves the family cemetery in his 1777 will, excluding “a place four rods square, where the burying place is” from the Westchester lands to be sold by his executors. 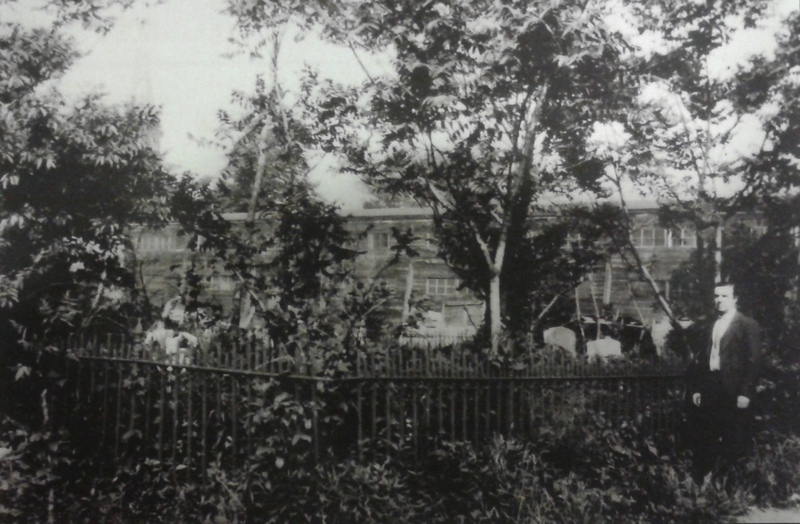 In August 1905, members of the Underhill Society of America visited the Ferris burial ground, where they found about 30 gravestones (most dating to the 19th century) and two family vaults—the James Ferris family vault on the north side of the graveyard and that used by the Benjamin Ferris line on the east side. 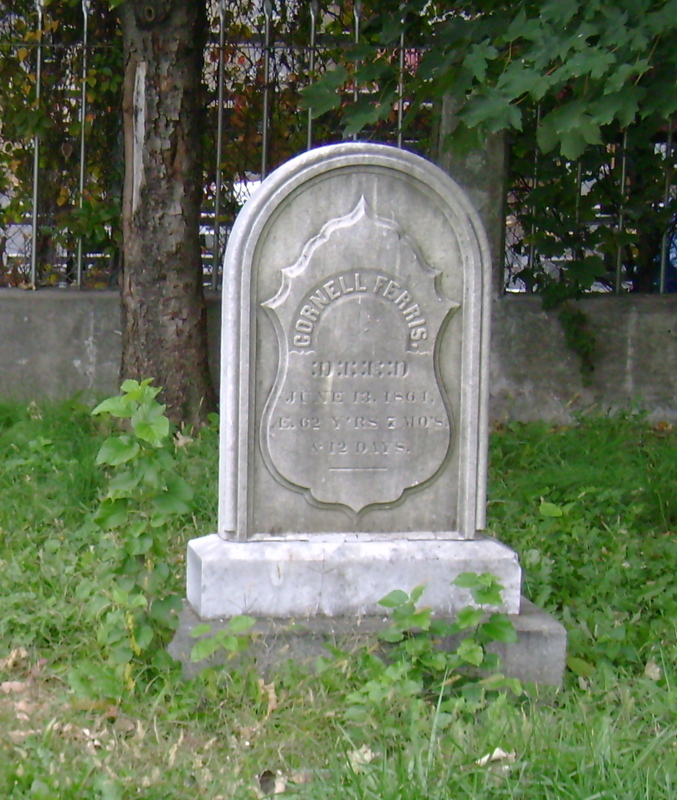 Remains from the James Ferris vault were removed around 1890 and transferred to Woodlawn Cemetery and Trinity Churchyard. Among those moved to Woodlawn were James Ferris (1734-1780) and his wife Charity Thomas Ferris (1734-1809), Revolutionary War patriots whose Throgg’s Neck home was occupied by British Admiral Richard Howe in October 1776. James Ferris was kept in the notorious British prison ships, and died in 1780 as a result of the hardships he endured. Legend has it that Charity Ferris, who stayed in the homestead during the British occupancy, directed one of her servants to memorize the conversations he overheard when waiting on Lord Howe and his officers, and transmitted this information to General Washington, who was with his army at White Plains. 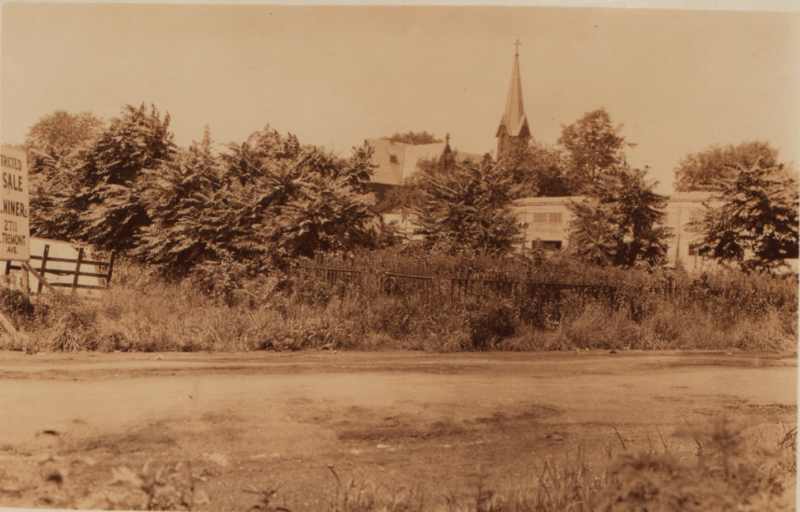 This view across Commerce Ave shows the Ferris cemetery overgrown with weeds and tall grass in July 1928. 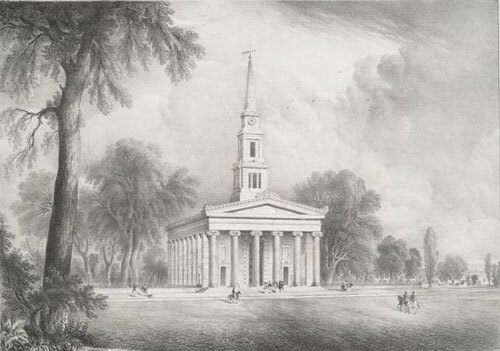 The spire of St. Peters Episcopal Church on Westchester Ave can be seen in the background (NYPL). 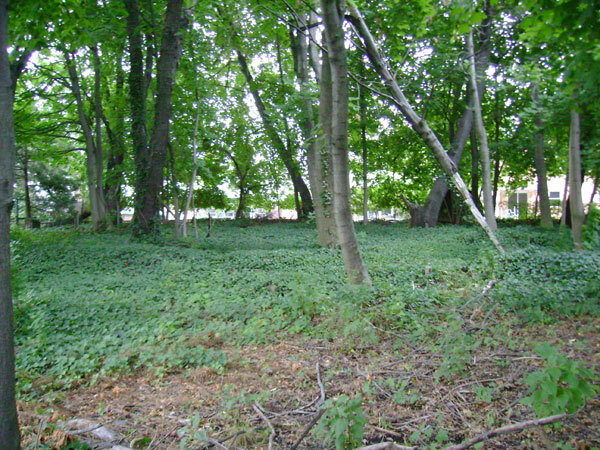 Various Ferris branches maintained the family burial plot for two centuries, but it was increasingly neglected after Charles Ferris, who lived near the burial ground when the Underhill Society had visited in 1905, died in 1908. 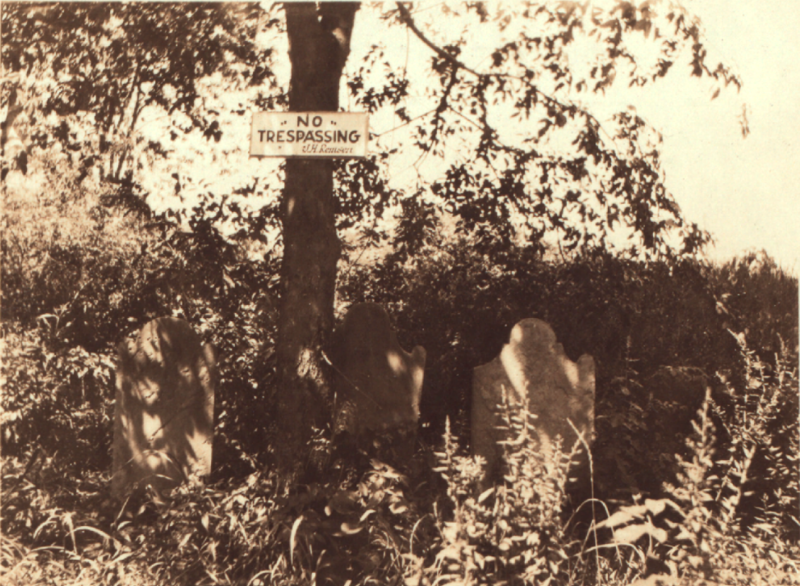 The site became overgrown, gravemarkers were destroyed or taken by vandals, and even the fencing was stolen. In 1928, vandals broke into the Benjamin Ferris vault, cut open the lead caskets and desecrated the remains; subsequently, the bodies of 15 family members were removed and reinterred at Kensico Cemetery in Westchester, leaving about 16 bodies and gravestones in the Ferris burial ground. 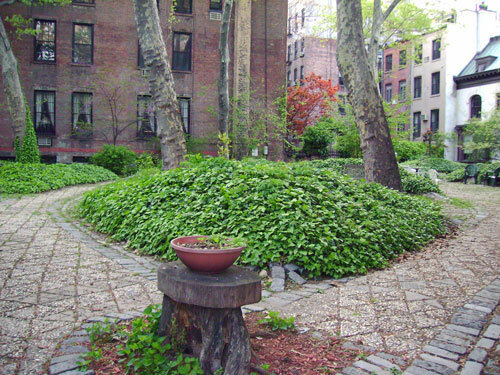 The site experienced periods of neglect and restoration throughout the 20th century (Parkchester Kiwanis Club removed 198 tons of debris from the site in 1973), but has been kept in good condition in recent years through the efforts of local Boy Scouts and other civic groups. Only a handful of gravestones still stand in the old burial ground, and its once bucolic surroundings are now a gritty industrial area. 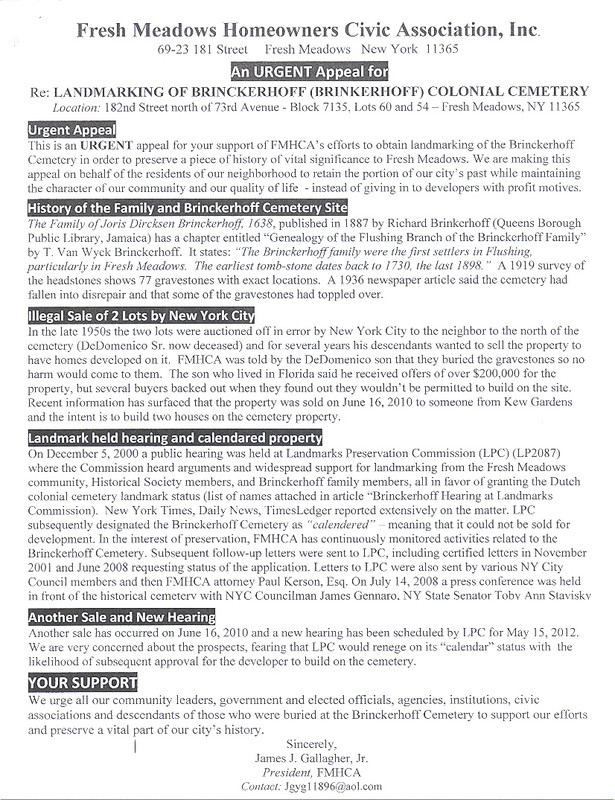 NYC officials proved to have short memories in the 1950s and 1960s when they repeatedly sold and then had to buy back a piece of land in Corona, Queens, after title searches revealed the property was an old cemetery. 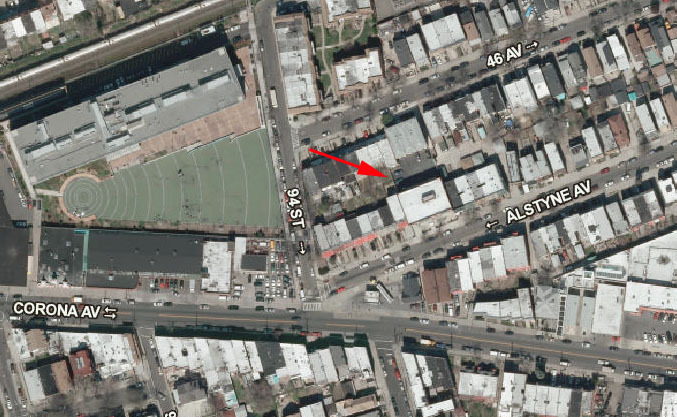 The plot in question, located near 94th Street and Alstyne and Corona avenues, was earmarked as a private cemetery under a last will and testament admitted to probate on January 3, 1821. It was once part of the estate belonging to the Burroughs family who settled in the area in the 17th century. 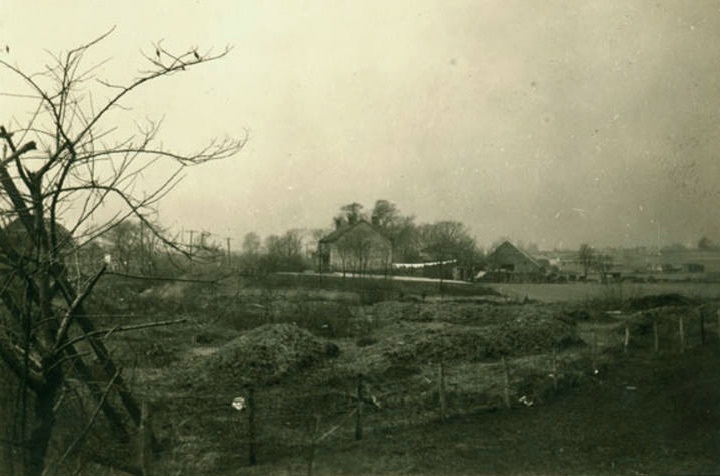 By the late 1800s, the family had sold off most of their old farm land and retained only the ancestral burial ground. 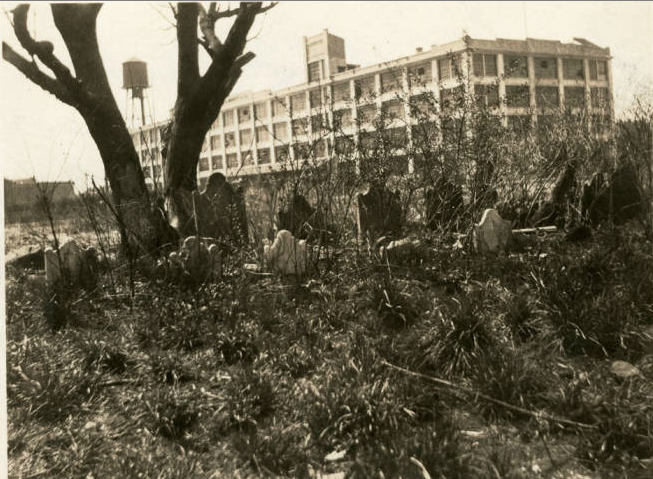 The Queens Topographical Bureau surveyed the cemetery in 1919, identifying 16 graves with headstones dating from 1793 to 1871 for members of the Burroughs, Vandervoort, and Waters families. 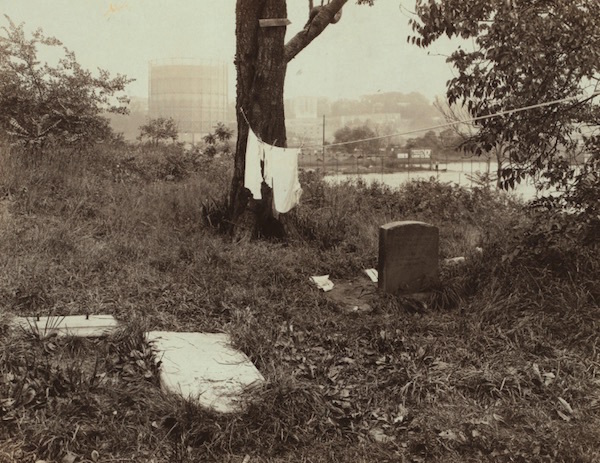 As the descendants of those interred there moved out of the area, the cemetery was abandoned, neglected, and became a dumping ground for neighborhood refuse. In 1954, the city seized the property in a delinquent tax action—erroneously it turned out, since private burial grounds, like all cemeteries, are tax exempt. 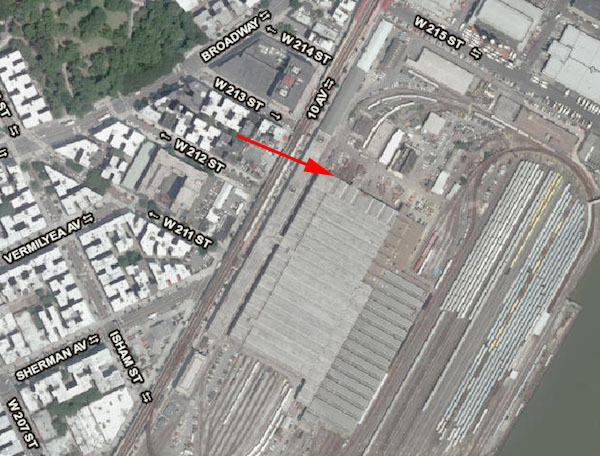 The site was then mistakenly sold at public auction at least twice, in 1956 and 1960. 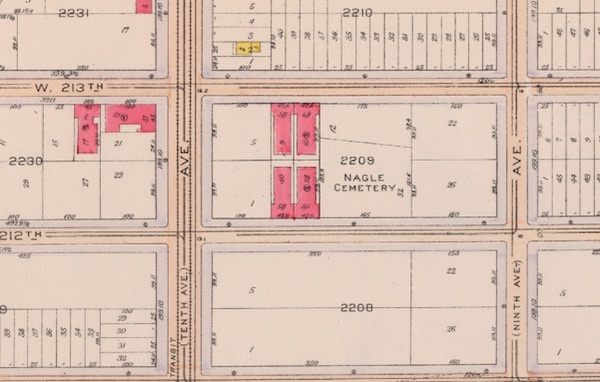 In each case, the city refunded the buyers when they discovered they could not develop the property unless the cemetery was removed, a long and expensive process that would require tracing descendants to obtain permission to move the bodies. 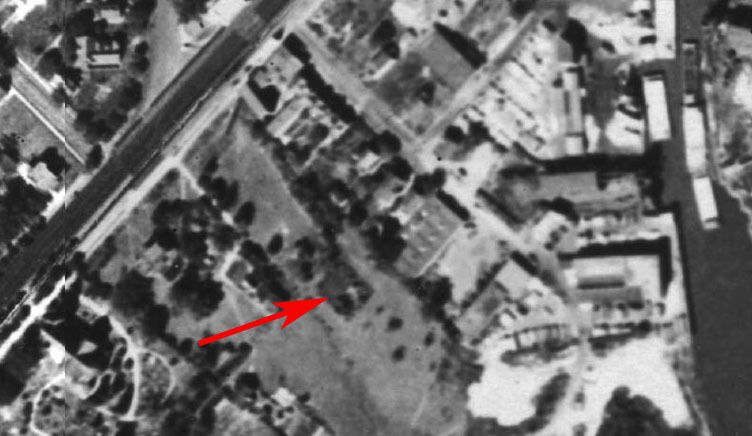 It is not known if the remains were ever removed from the Burroughs cemetery site, which is now covered with residential buildings and asphalt. Sources: History of Queens County, New York (Munsell 1882), 344; Description of Private and Family Cemeteries in the Borough of Queens, 12-13; “City Stuck with Two Cemeteries,” Sunday News March 4, 1956; “Oops! City Discovers it Sold a Cemetery!” Long Island Daily Press, Jan 24, 1957; “City Digs Up Info on Lost Cemetery,” Long Island Star Journal, April 22, 1957, 3; “He Buys a Cemetery, Gets His 2Gs Back,” Long Island Star Journal, March 23, 1962, 3; NYCityMap. 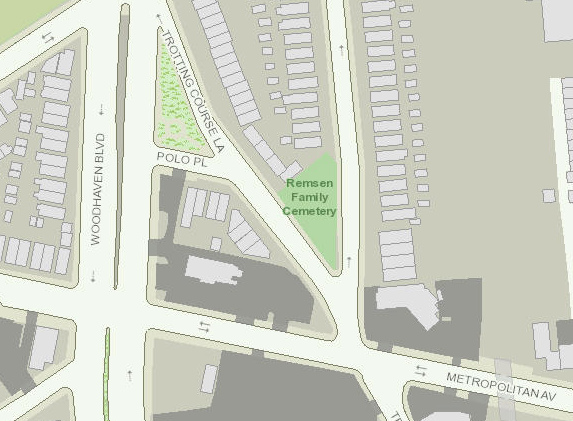 Situated on a triangular lot near the busy intersection of Woodhaven Boulevard and Metropolitan Avenue in Forest Hills, the Remsen Cemetery is a remnant of Queens’ colonial past and is the final resting place of a family of Revolutionary War patriots. 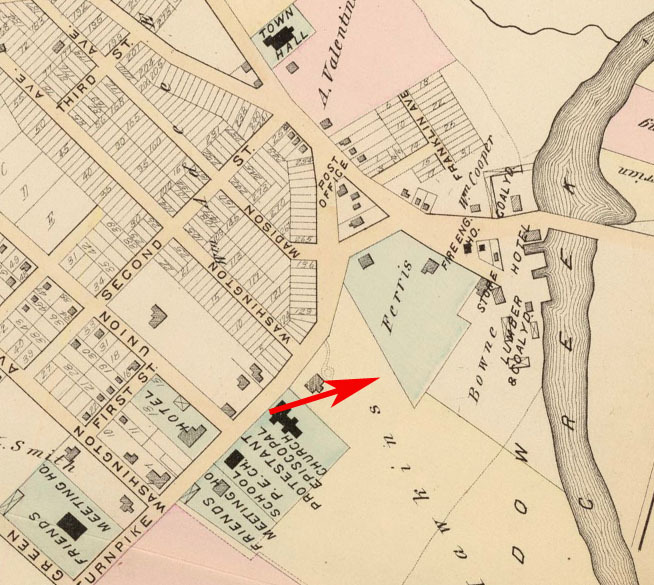 The 2.5 -acre site, bounded by Trotting Course Lane and Alderton Street, originally lay within the property of the Remsen family, who immigrated from northern Germany in the 17th century and established a farm in the area that was then known as Hempstead Swamp. The cemetery is believed to have been used as the family burial ground from the mid-18th through the 19th centuries. 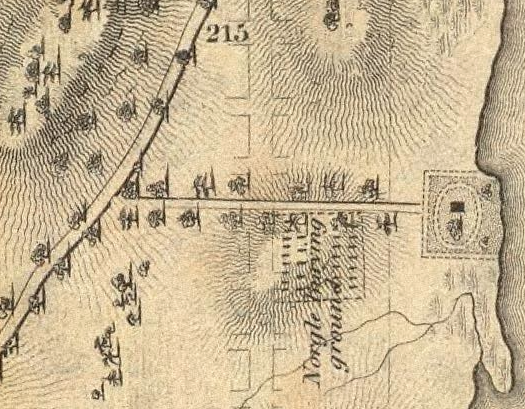 In a 1925 survey of the cemetery, the graves and brownstone gravemarkers of eight Remsen family members were identified, dating from 1790 to 1819. 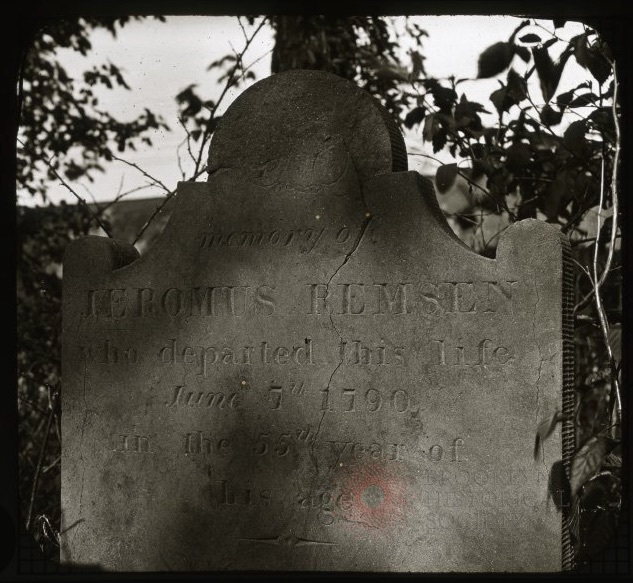 The oldest known grave is that of Colonel Jeromus Remsen, from 1790. Col. Remsen fought in the French and Indian War and, as a colonel of the Kings and Queens County Militia in the Battle of Long Island, he commanded the 7th New York Regiment in the Revolutionary War. His cousins Abraham Remsen, Luke Remsen, and Aurt Remsen were also Revolutionary War officers. 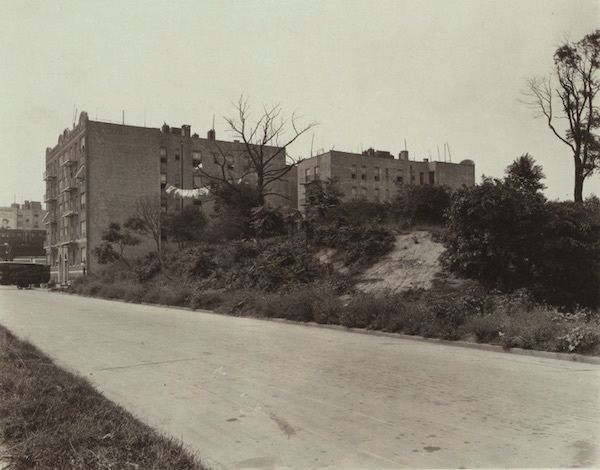 By 1925, all of the Remsen property had been sold off and the Remsen House, which was near the cemetery, was torn down to make way for residential development. Most of the cemetery’s old tombstones disappeared with time and vandalism, although the local American Legion post and other civic groups strove to maintain it over the years. 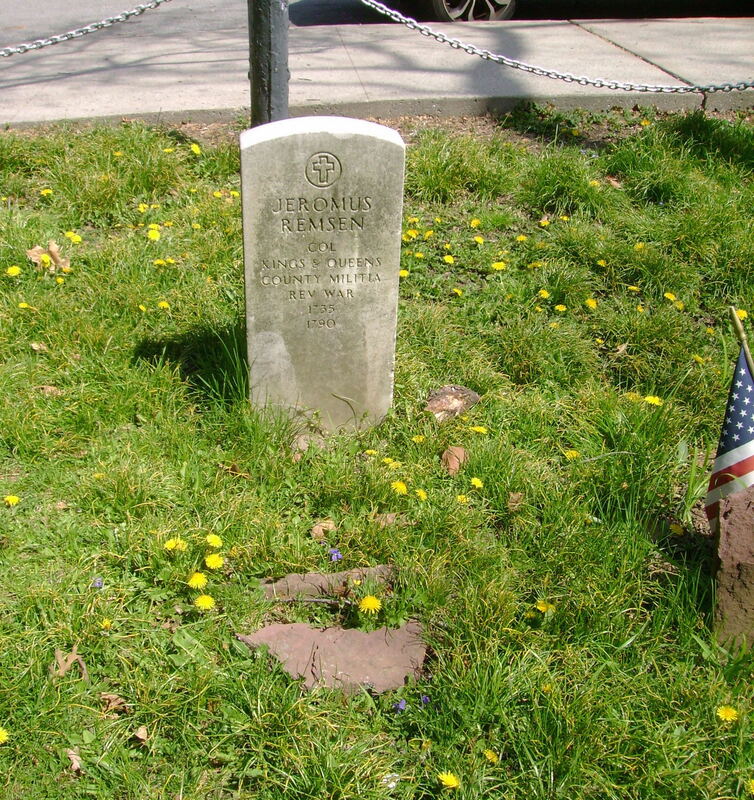 In 1980, new marble gravemarkers were erected by the Veterans Administration to honor Col. Remsen and the other Revolutionary veterans buried there. A World War I memorial, with two doughboy statues flanking a flagpole, also was created at the site to commemorate Forest Hill’s service in that war. Remsen Cemetery was designated a New York City Landmark in 1981 and is now owned and maintained by the NYC Parks Department. Sources: “Revolutionary Colonel’s Grave, Ruined by Vandals, Now Faces Tax Lien Sale,” Brooklyn Daily Eagle, Apr 30 1929, 2; Description of Private and Family Cemeteries in the Borough of Queens (Powell & Meigs 1932), 62-63; Remsen Cemetery (LPC Designation Report 1981); “Cemeteries of Greater Ridgewood and Vicinity” (R. Eisen, Greater Ridgewood Historical Society Lecture, Aug. 1988); “Remsen Cemetery A Step Closer To Becoming An Official City Park,” Queens Chronicle, March 4, 2004; Legendary Locals of Forest Hills and Rego Park (M. Perlman 2015), 14. 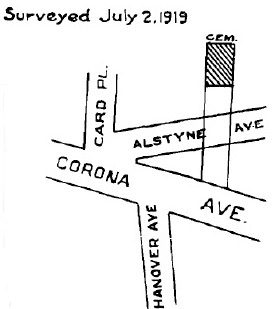 The cemetery, which in 1926 was bounded by 212th and 213th streets and 9th and 10th avenues, was a plot of about one acre, on the crown of a gently sloping knoll. It was originally about 200 yards west of the Nagel homestead, known as the Century House, and was reached from Broadway by a little lane bordered with apple trees. 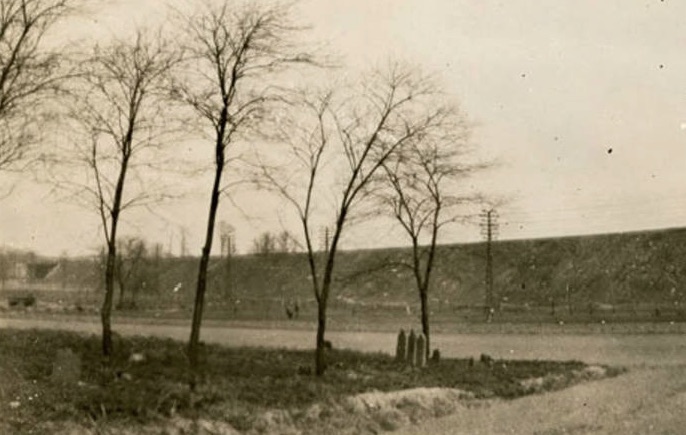 The southern end of the cemetery, which had extended south of 212th Street, was taken in 1908 when the street was opened and a number of bodies were moved and placed in another section of the cemetery. 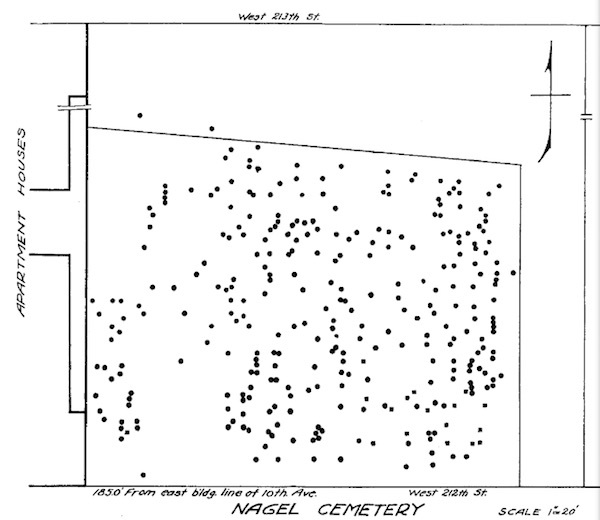 Earlier Colonial burials were in the eastern section of the burial ground in rows about nine feet apart, running due north and south, and marked only by small, unmarked blocks of local rock, set at head and foot of each grave. 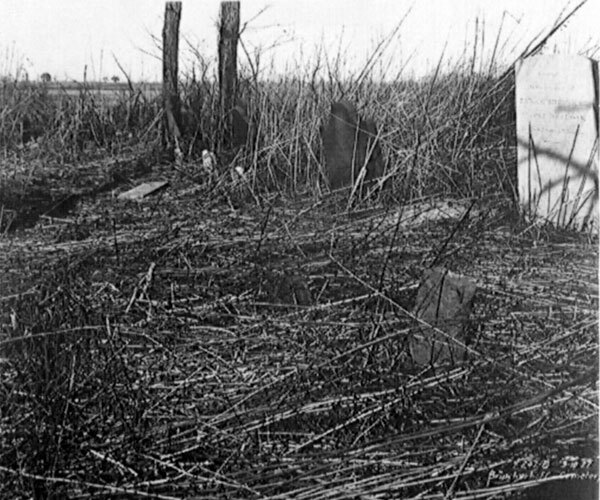 The western portion of the ground was filled with graves marked with the names of local families, including the Dyckmans, Vermilyes, Ryers, and Hadleys. 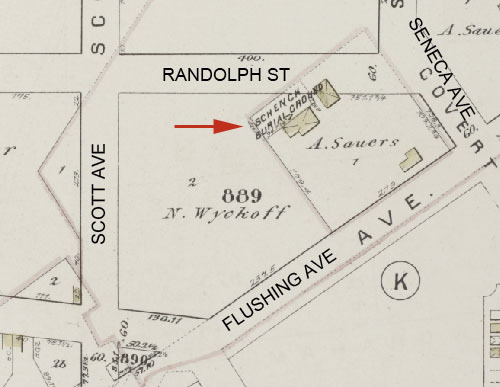 Prior to 1926, a number of bodies were removed from the Nagel burial ground to other cemeteries, most notably members of the Dyckman family that were moved to Oakland Cemetery in Yonkers. 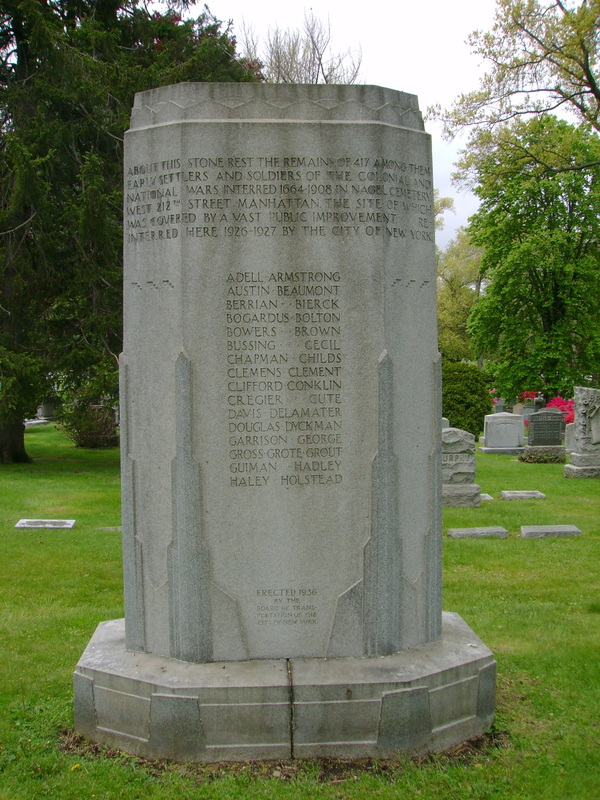 When the Nagel cemetery was removed by the NYC Board of Transportation, 417 bodies were transferred to a 1,500 square foot plot at Woodlawn Cemetery in the Bronx and marked with an octagonal granite monument, 9 feet high and 6 feet wide, with the inscription “About this stone rest the remains of 417, among them early settlers and soldiers of the Colonial and National Wars, interred 1664-1908, in Nagel Cemetery, West 212th Street, Manhattan, the site of which was covered by a vast public improvement. Reinterred here, 1926-1927, by the city of New York.” The Nagel cemetery property was incorporated into what is today the MTA’s 207th Street Subway Yards. View more photos of Nagel monument at Woodlawn Cemetery. Sources: Colton’s 1836 Map Of The City and County Of New-York; Bromley’s 1916 Atlas of the Borough of Manhattan Pl 188; “Who Owns Cemetery?” New-York Tribune Mar 3, 1909 p.1; Washington Heights, Manhattan, its eventful past (Bolton 1924), 202-203; “Old Burial Ground in Subway’s Path,” New York Times Feb 13, 1927 p. 22; “Old New Yorkers: A Series of Crania from the Nagel Burying Ground, New York City” (Shapiro 1930) American Journal of Physical Anthropology 14(3):379-404; “City to Honor Dead Moved for Subway,” New York Times Jul 11 1932 p.15; Burials in the Dyckman-Nagel Burial Ground (Haacker 1954), 1-11; “The Old Nagle Cemetery,” My Inwood, May 9, 2013; NYCityMap. 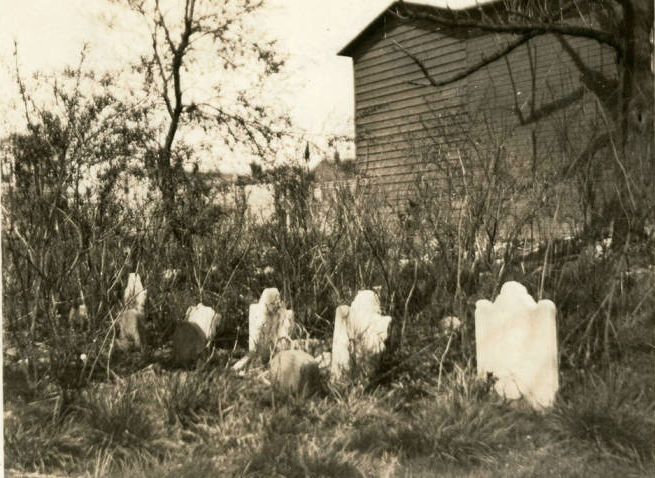 When local historians visited the site in the 1860s and 1870s, the burial ground was still in existence, a 40 x 100 foot plot located behind two barns on the farm of Nicholas Wyckoff. 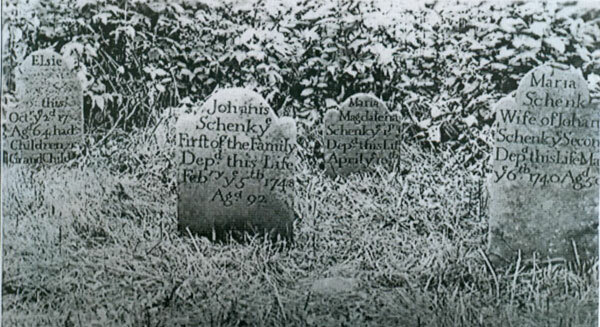 Tombstone inscriptions for 18 members of the Schenck family who died between 1740 and 1858 were recorded, including that of family progenitor Johannes Schenck, “ye First of the Family Depd this Life, Febry ye 5th, 1748, Agd 92.” The remains from the Schenck graveyard were removed during the late 19th century, some to Greenwood and some to Evergreens Cemetery. 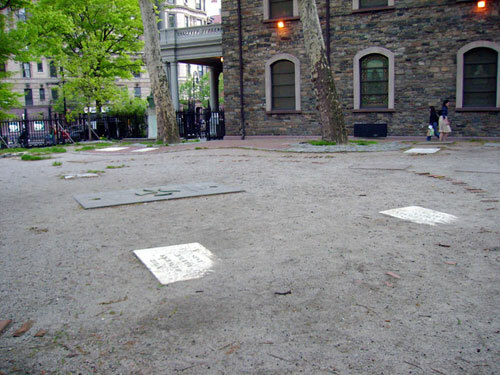 The Museum of the City of New York has among its collections three tombstones from the Schenck family burial ground—that of Johannes Schenck, mentioned above, as well as the gravestone of his daughter-in-law Maria Schenck (d. 1740), and a marker from the double grave of Maria Schenck (d. 1776) and Maria Magdelena McPhern (d. 1782), a daughter and granddaughter of Abraham Schenck, respectively. 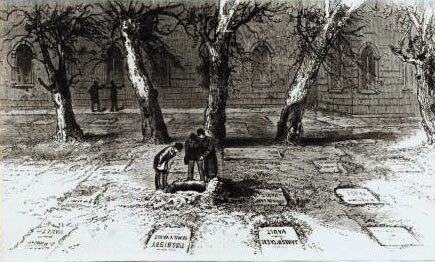 In addition to the Stuyvesant vault, St. Mark’s had two burial sites attached to its church during the first half of the 19th century—the yards surrounding the church, which were used exclusively for vault interments, and a cemetery further east along 11th Street for conventional graves. 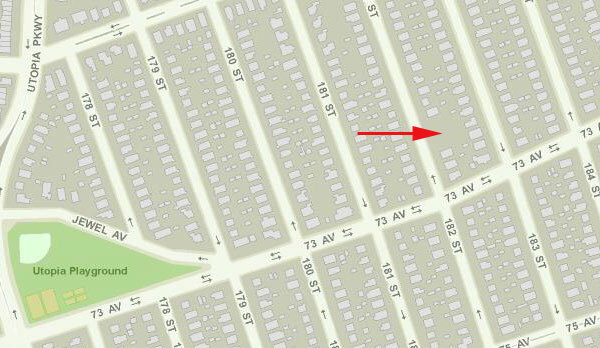 Peter Stuyvesant IV donated a 242 x 190 plot just east of 2nd Avenue, between 11th and 12th Streets, for the cemetery in 1803. One of the stipulations in Stuyvesant’s grant of the plot was that any of his present or former slaves and their children have the right to be interred in the burial ground free of charge. 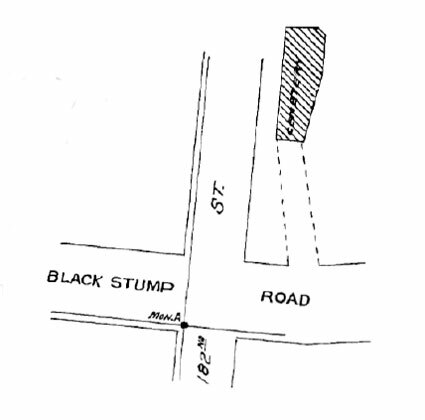 An unknown number of individuals were buried at St. Mark’s Cemetery until burials there were prohibited in 1851. 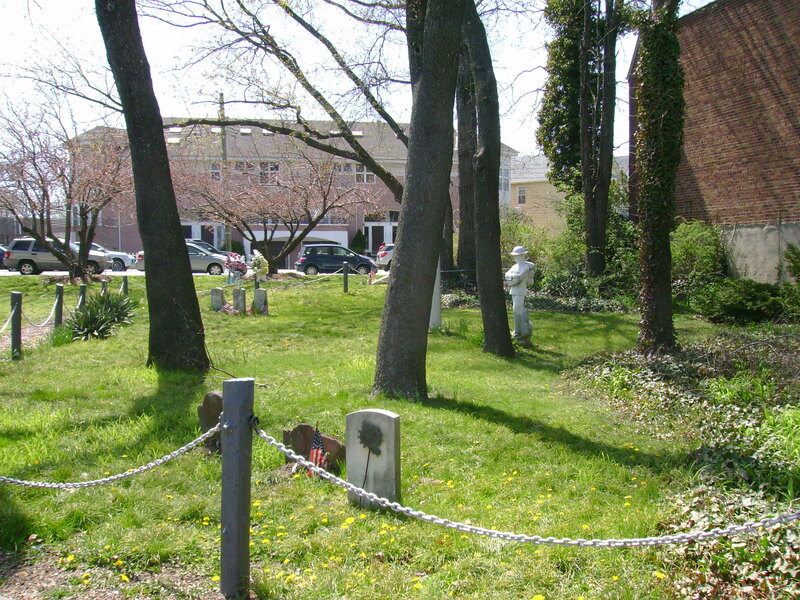 The remains from this graveyard were removed to Evergreens Cemetery in Brooklyn in 1864 and residences were built on the site. The first underground burial vaults were built in the grounds adjoining the church in 1807. In these tombs lie the remains of many important individuals and members of prominent and wealthy families of 19th century New York. Among those interred here are Mayor Philip Hone, English governor Henry Sloughter, and Daniel D. Tompkins, governor of New York and U.S. vice-president under James Monroe. Millionaire A.T. Stewart was interred in a vault in the east yard in 1876; two years later his remains were stolen and reportedly held for ransom. The suspicious events surrounding the theft and rumors of ransom demands were well publicized for several years following the crime. The case was never officially resolved, although some stories hold that Stewart’s widow negotiated the return of the remains in 1881 and reinterred them elsewhere. 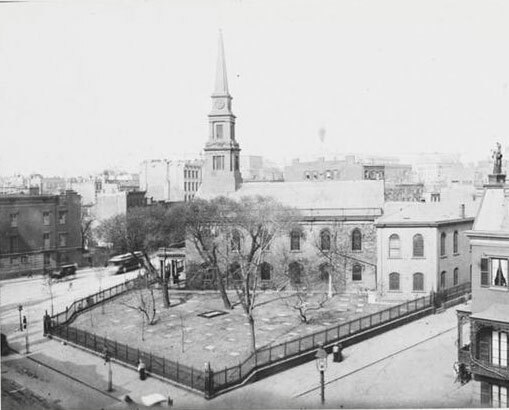 As the neighborhood surrounding St. Mark’s changed from upper class townhouses to tenement slums during the first half of the 20th century, the churchyard fell into disrepair. 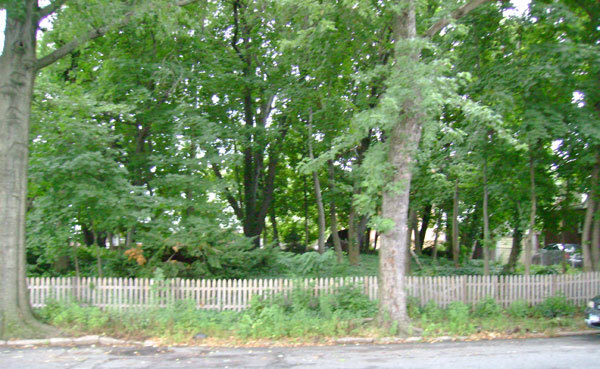 The Preservation Youth Project restored it for community use in the 1970s, creating a playground in the east yard and a quiet garden in the west yard. Many of the flat vault markers can still be seen among the newer pavements. Sources: St. Mark’s Church in-the-Bowery; A Comprehensive Guide to the St. Mark’s Church in-the-Bowery Historical Site (St. Mark’s 1999); Memorial of St. Mark’s Church in the Bowery (St. Mark’s 1899); A New York Pantheon: The Burial List of St. Mark’s in-the-Bouwerie (St. Mark’s n.d.); “Public Notice” [Removal of St. Mark’s Cemetery], New York Times, Aug. 17, 1864; “Ghouls in New-York City,” New York Times, Nov 8, 1878; “New Rector Heard in His First Sermon at Old St. Mark’s,” New York Times Aug 3, 1959; “The Decline and Fall of the Commercial Empire of A.T. Stewart,” Business Review 36(3):255-286, Autumn 1962; “St. 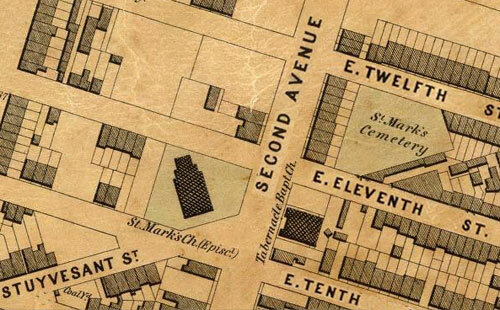 Mark’s Building Playground in its Cemetery, the City’s Oldest,” New York Times, Feb. 9, 1970; Dripps’ 1852 Map of the City of New-York extending northward to Fiftieth St.